Hi-Quality Ribbon Cables for all applications stocked and supplied by Unitech. 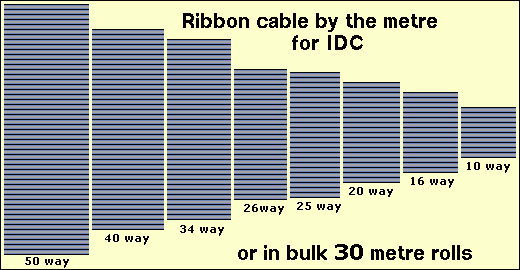 So !..What does "I.D.C" mean ?, simple.....Insulation Displacement Connector. We are waiting for firm prices from our suppliers (July 22nd 2011) to date no firm prices have arrived ! Why am I getting small shocks from my Electronic equipment and it is biting me with electrical sparks ?